How do I commission an ebook cover? 1) To commission an ebook cover, first choose an ebook design package that suits your needs and budget. 2) Complete our ebook cover briefing form. If you prefer we can send you the form by email. The briefing form will extract all the information needed to design your cover. 3) We will ask you to confirm the size required for your ebook publisher – normally 1600px x 2400px. After you have submitted your briefing form and paid your deposit, we will schedule in time to work on your project. Normally, we should have all the information we need to create your cover but we may email you if we have any questions. Within two to three working days, we will send you a draft cover to review. We ask you to send feedback on your ebook cover. We will then use your feedback to tweak design and produce a final version for you to sign off. What happens if I don’t like your ebook cover design? If you have completed the briefing accurately, we are confident our first design will meet your expectations. If there’s nothing at all you like about the first draft, we will we will come up a completely different design, based on further feedback from you. We will then ask for your thoughts again and implement any final tweaks. In almost all cases, our design process will result in a great book cover that you really like. What if I really don’t like any of your work and want to cancel? In the very unlikely event that you do not like any of the work we are doing for you, all you need to do is say and we will cancel the project immediately. No fees will be due. What happens when I have signed off my ebook cover? You will be invoiced for the balance of the fee due for your cover design. Once the invoice is paid, you will be sent a high resolution jpg version of the cover measuring 1600 x 2400 pixels (Amazon/Smashwords recommended size). Any security watermarks will be removed of course. How much does an ebook cover cost? A list of our ebook cover options can be seen here. Cost of all royalty-free images used for the cover and all rights to use the cover in any format you want. What is not included in your fee? The rights to use any of the draft covers we produced for you. The design fee will NOT include any unique illustrations of book specific characters or locations. We may be able to produce something at meets your needs by creating a composite image composed of various royalty free graphics/ images but there would be a separate fee for this level of design. Please ask for details. Order An Ebook Cover Design Now! 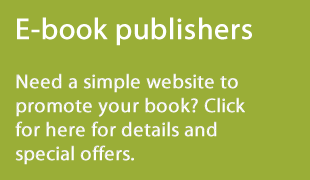 We have set up a sister site specifically to market our ebook cover design services in the UK and other countries. Please visit Studio Book Covers for more examples of our work, to find out more about what we can do for you, or make an order.